Saint Genis Pouilly is located at the foot of the Jura mountains, a wonderful location for hiking in summer and downhill or cross-country skiing in winter. Geneva with its famous fountain and Lake Geneva are just a few minutes from the hotel. Heated outdoor swimming pool from May to September. 1.9 mi from CERN, 4.3 mi from Geneva airport, the Palexpo exhibition center and the arena. 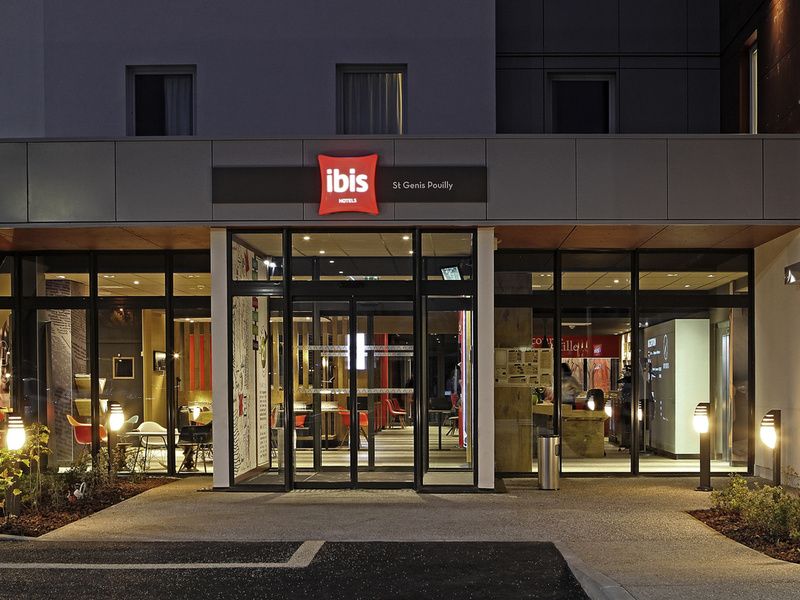 You'll love the modern and inviting ibis room, with comfortable bathroom, modern decor, cozy bedding with duvet, Internet, and flat-screen TV with the main channels. Some rooms are connecting. The Family Room has a double bed and a sofa bed, and is ideal for family vacations. Some rooms are connecting. The Grill Courtepaille is more than just a restaurant, it offers its customers a complete experience, combining table service for the main dishes, self-service for starters and desserts, and live cooking on an open grill. Bar Avanzi offers a wide selection of hot and cold drinks for a moment of relaxation in a cozy and modern atmosphere at any time of the day. The 24-hour snack menu will satisfy all your desires.